What's the Best Hydraulic Floor Jack for My Garage? There are hundreds of different floor jacks out there to choose from. 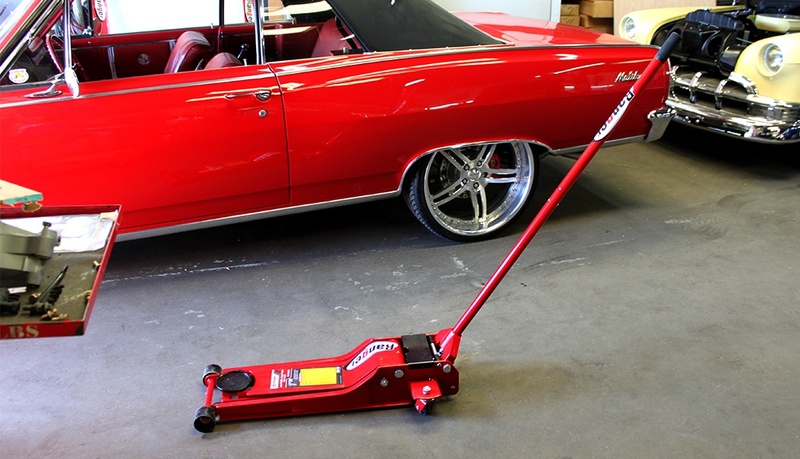 Since more people use these garage tools than any other method to lift their cars, hydraulic jacks are time-tested and extremely reliable lifting solutions. That doesn't mean that all jacks are equal, however. 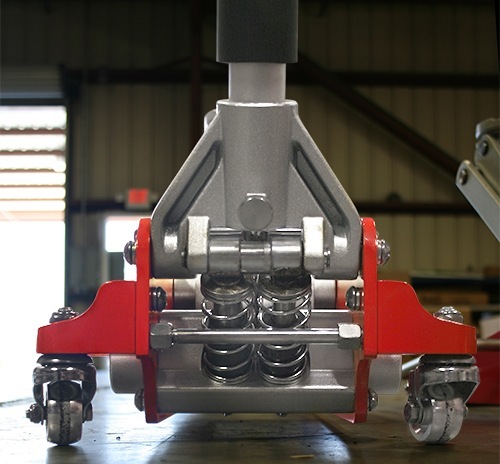 To minimize risks, we at Ranger offer safe, ANSI certified hydraulic floor jacks. And no matter what you're doing, even if it's just a roadside donut swap, you should always use a jack stand. If you choose Ranger jacks and stands, and you follow your vehicle manufacturer's lifting procedures, you're going to lift as safe as humanly possible. So, once you know that the maker of your jack is reputable, it's time to pick a model. We recommend reviewing all Ranger's offerings to get a sense of what's out there. 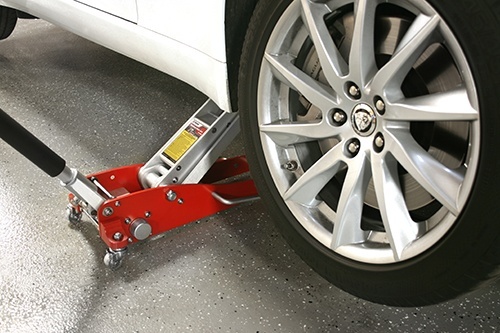 We carry many floor jacks at any given time, and we guarantee that there are models to suit your vehicles. 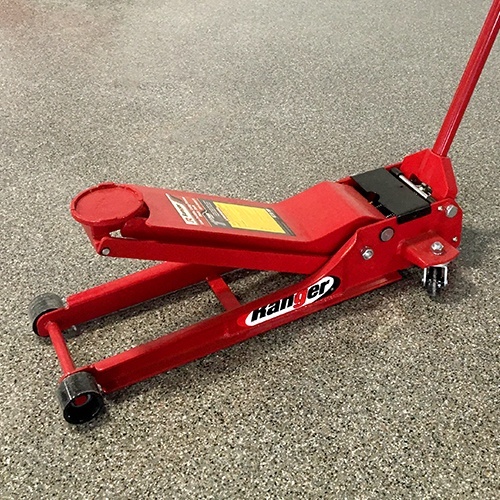 Use this guide to find the best hydraulic floor jack for your home garage. What is the lift capacity of the jack? The rated capacity of your jack is extremely important. If you're lifting a 3,000-lb. vehicle, you're going to want at least a 1.5-ton jack. The reason is that it's best to use a jack rated at or close to the curb weight of the vehicle being lifted. If you stick to this rule, you'll have a 4:1 safety factor if you lift from one of the corners along the pinch weld or vehicle frame. This is more than enough of a safety factor, considering Ranger floor jacks are often over-engineered to a safety factor even greater than that! Likewise, if you're lifting a heavier-duty vehicle that weighs 7,000 lbs., consider a 3-ton jack. While the jack isn't quite rated to lift the vehicle's full weight, Ranger's high-quality construction ensures you're lifting with well over a 2:1 safety factor. Mechanical or hydraulic floor jack? A word on bottle jacks: Bottle jacks (sometimes called piston jacks) are small and lightweight, but they aren't nearly as stable as trolley jacks. These are often used to lift wheels off of four-post lifts in place of rolling bridge jacks, but they're not useful for getting cars very high off the ground. We don't recommend them for general home use, because trolley jacks are safer while still being portable and very affordable. When it comes to selecting a steel or aluminum floor jack, don't be persuaded by misinformation. Despite what some may believe, steel doesn't make for a "stronger" jack, especially the way they're manufactured today. Ranger's professional-grade aluminum racing floor jack, for instance, is crafted out of aircraft-grade billet aluminum. We guarantee its reliability as much as we do any other jack we make. Aluminum jacks are lighter and easier to maneuver, making them popular for race tracks and larger shops. The price tag is probably a little higher for a good jack, but not by much. The bottom line is that both styles are safe, and if shedding a few pounds of jack weight is important to you, aluminum is an ideal choice. Standard or low-profile floor jack? Anyone with a low-stance sports car or lowered suspension should consider a low-profile hydraulic jack. These super-long trolley designs will safely reach the jacking points on most vehicles. The longer frame also makes this design easier to jack. On the other hand, standard jacks may be better for lifting trucks and other high-stance vehicles. 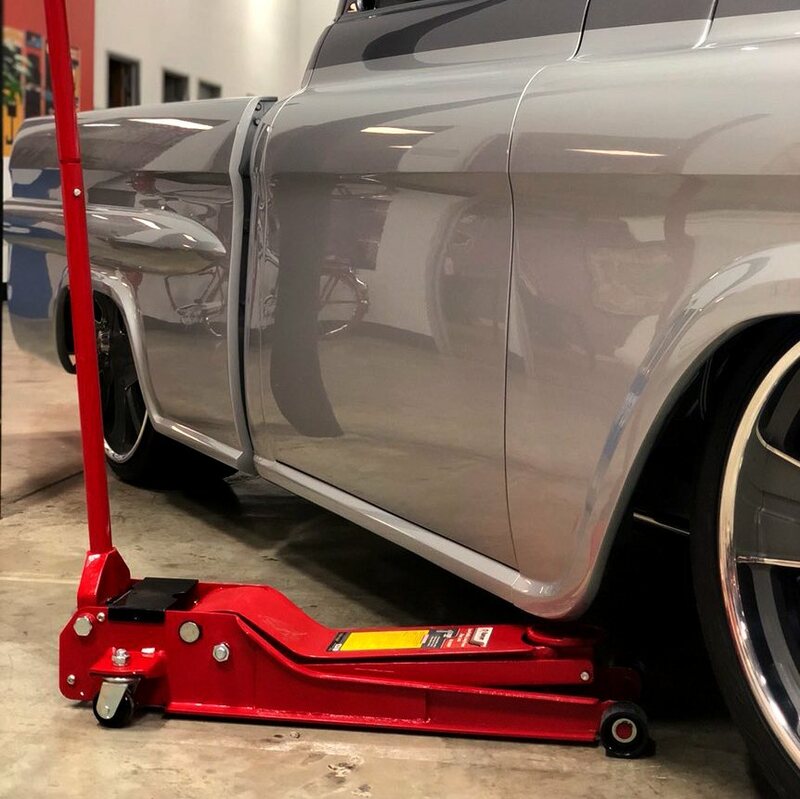 That's simply because the taller jack will not have to lift as far before contacting the vehicle chassis, so you'll ultimately get more lifting height out of the standard size when jacking up those vehicles. Does quick-pump matter to you? If you're at the track or literally racing against the clock, you might want to consider a quick-pump hydraulic jack. They take fewer pumps to reach the vehicle chassis and get to the max lifting height, so they save time and are even ergonomically made for easier pumping action. These models might add a few bucks to the price tag, but it's worth it for professional mechanics and anyone else whose work is time-sensitive.